Typically an orange traffic cone is used to redirect traffic and indicate possible hazardous conditions on the road. 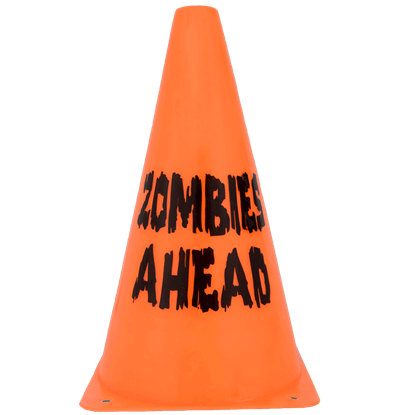 The Zombie Head Cone can do just that, while also being a little more specific about what danger lies ahead. It seems the zombie affliction affects even the cutest of creatures! 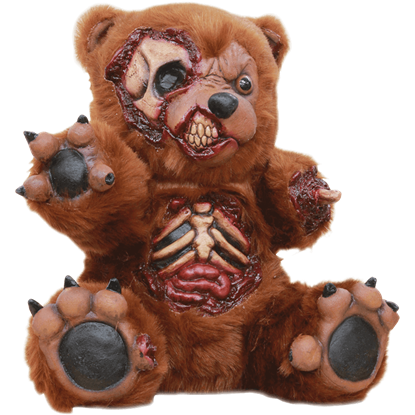 This Zombified Bad Teddy may have once been cuddly and sweet, but not anymore. The ravages of a strange virus left it undead and hungry for the flesh of the living. Whoever said that garden gnomes were supposed to sweet and gentle creatures has obviously never met this one! 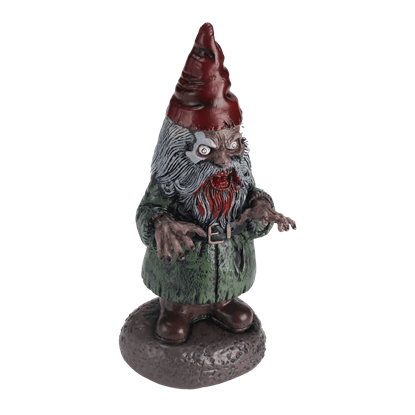 Although the Zombified Garden Gnome might have been nice once, those days are long-gone now that it's a flesh-eating yard decoration!